The ultimate in heavy-duty towing, the Reese Elite series 25K fifth wheel hitches feature reinforced arch platforms and heads with a heavier forged locking jaw. The wider footprint increases stability while towing. Preassembled, with or without optional slider. Includes 90 fifth wheel adapter harness. 6,000 lb pin weight capacity. Requires Elite Series rail kit, sold separately. Reese hitches have been the best best of their class ever since they came out. 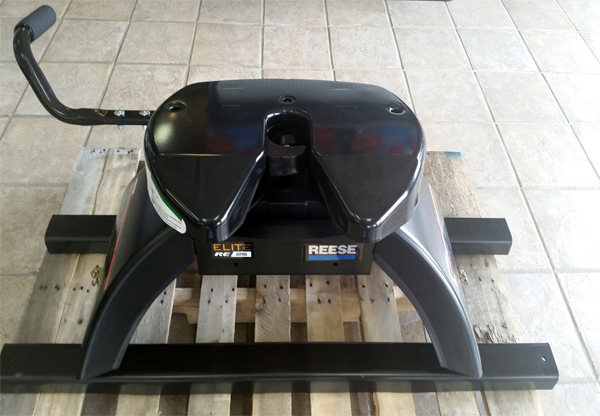 This Reese 5th Wheel Hitch Elite series is their best quality hitch.